In the good old days, the console war was fought with games: Uncharted vs. Gears of War! Halo vs. God of War! And so on… But if you’ve been on a forum in the past six months or so, you’ll note that the trench lines are now drawn using studio acquisitions. Microsoft’s spending spree has got some fans squabbling over sheer numbers rather than actual software, and the good news for PlayStation diehards is that Worldwide Studios chairman Shawn Layden has hinted that the organisation is looking for good “cultural fits”. It’s a bit of a non-answer really, as it goes without saying that a company like Sony is always looking for new opportunities to expand its business. Layden also appears to be lingering on the topic of Fortnite, which is mentioned earlier in the interview – hence his suggestion that the platform holder’s open to the idea of service-style games. To be honest, we’re a bit bored of all this chatter about acquisitions – it reminds us of when football fans focus on transfers rather than what’s actually happening on the field. Sony’s lineup of exclusives has been strong for years now, so clearly its teams are in a good place, and it has a network of partners that it trusts, such as Insomniac Games. We’re yet to be convinced it needs to whip out its cheque book just yet. I'm very interested to see what developers they see as a right fit for them. I know it will create some eye-catching headlines. @RBMango I think it's pretty obvious to be honest. Insomniac, Quantic Dream, Supermassive, Bluepoint, Kojima Productions. They're all good "cultural fits" for Sony. Maybe VR developers like Impulse Gear or First Contact, too. Whether these studios want to give up their independence and whether Sony feels it actually needs to add them to its stable is another thing entirely, though. Like I said before, I would go to Ted Price's office and ask "what would it take"? I think as long as they can release 2 to 3 quality titles a year they don't need more studios. I think they would be better off expanding their best studios to be able to work on multiple titles, which seems to be what they are doing. @AdamNovice Why would Insomniac ever sell, though? They just don't need to. And seeing as their relationship with PlayStation is stronger than it's ever been, I don't really see why Sony needs to buy either to be honest. @get2sammyb I know those are the big ones, but I have a feeling Bluepoint might be the only one of the bunch that could happen within the next few years. Maybe Supermassive if their anthology thing doesn't pick up steam with Bandai Namco. I don't think Sony will be making any grand acquisitions at this point. There are studios newly formed that we've yet to see anything from. Manchester Studio? That other one that's probably making a new Uncharted? Insomniac alone would be an awesome acquisition. Sony and Insomniac are stronger together, both created many classics, Sony wouldn’t mind investing even more in a talented studio like them. @get2sammyb Not sure if Quantic Dream is a "cultural fit" for them. Sony could've acquired them a long time ago and never did, David Cage even expressed interest in joining Worldwide Studios, but it never happened and they're going multiplatform now. 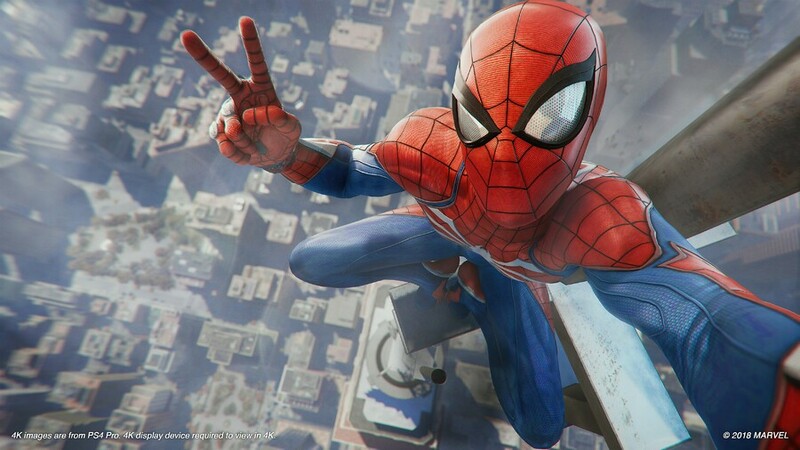 @get2sammyb From Insomniac's POV, it's added security cos every time they have made a game away from Sony it's either been a commercial or critical flop. When people think of Insomniac they don't think Disruption, Fuse, Sunset Overdrive or that Song of the Deep. They think Spyro, Ratchet and Clank and Spider-Man. And from Sony's POV well they lock down the talent and IPs they own, instead of risking them going elsewhere like (heaven forbid Microsoft). Sony made that mistake in the past with FromSoftware, if they'd have known how significant the Souls franchise would have become I'm adamant that Sony would have acquired them. As far as I'm concerned if there's a studio that Sony has worked with regularly, makes quality games and has decent sales return then sign them up ASAP. @DLB3 quantic dream already announced they are going multi platform. deal is off the tables now. @AdamNovice sony still owns the rights to demons' souls... so technically, they can make a dark souls style game without a problem. they also made up for losing "dark souls" with bloodborne so there is no regret or anything to worry about in that regard. @AdamNovice I don't think Insomniac wants to be "locked down", though. I think they cherish their independence, and that's fine for them as a business. I obviously don't have access to their accounts, but I'd imagine they're a very stable company. If you look at all the teams Microsoft's bought, I suspect the majority of them would have shut down if they didn't get acquired. 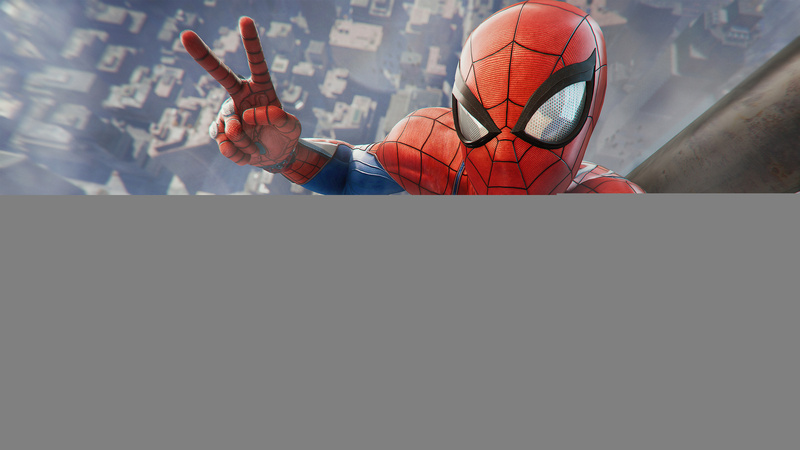 Insomniac is just not in that position at all — especially when it has a Spider-Man 2 to develop. @Porco I mentioned that in my comment, it was the whole point of my post. You misunderstood what I'm saying. @DLB3 indeed i did misread your comment. my apologies. Fun talk, shame that so many great companies are gone because of nonsense like this. All Sony needs to do is buy 343 and Playground Games, then force them to make the coffee. Xbox crushed, job done. Disagree. Its a very good answer. Someone on the site said Sony had no intention of acquiring more studios which was a false rumour then. I thought I remembered reading that instead of just buying up studios that are on the verge of shutting down like MS did, Sony is more focused on increasing the size of the studios they already own, which will allow those studios to work on multiple projects simultaneously within the studio. I think this is a much smarter strategy. Just buying up studios is not necessarily going to lead to good results. It takes a long time to develop the trust and communication that is necessary between a publisher and developer to make a quality product. Expanding studios like Naughty Dog and Guerilla to make multiple games at once would be just as effective at pumping out games as buying other studios, except the long-standing relationship has already been cultivated, and you get a much higher chance of releasing a high-quality game with proven studios like the ones Sony already owns. Would love if Sony decided to acquire Drinkbox, Housemarque and Blue point to have high quality indie-style teams in the fold. I'd love supermassive to become a first party studio. Wondering if Quantic Dreams less-positive new headlines lately had anything to do with Sony's pass - as they always seemed on the cusp - and their newfound "multi-platform" focus. They make some nice looking games but, like Telltale, kind of a one trick pony IMO. I'd think Bluepoint to join WWS would be a good addition. Just because MS has been acquiring new studio's, it doesn't mean Sony have to or even need to. Sony already has a big stable of developers in their arsenal and MS have been seriously lagging behind on that score. Even with those additions, MS are at best on a Par with Sony now. Two of the acquisitions are two 'small', indie developers. Neither of these have made more than 2 games and one had only made Xbox games too. Playground have been making Xbox only games for years and whilst they did expand and were looking at branching out from just Forza Horizon, MS snapped them up before they made a multi-platform game. From a 'Sony' perspective, the only Dev out of these 3 that Sony gamers will know of is Compulsion who made Contrast and We Happy Few - hardly a 'loss'. The biggest loss is most likely to be Ninja Theory. They were just 1 game away from closing down and had to fund Hellblade by doing work for other devs/publishers - most of the staff were working on 3rd party games whilst a few worked on Hellblade. Obsidian and inXile may well be missed by a select few Sony gamers as their recent titles haven't exactly been 'big' - also having to rely on crowd funding to even make any games of late. Granted all 3 of these do have some big name titles in their history but apart from Ninja Theory, the other two haven't exactly lived up to their reputation of late. The last new Studio in the MS stable is an unknown quantity because they are newly created studio with no 'history' of games to be 'missed' by Sony gamers. The head of the Studio does have a great resume but its still a new studio. If you look at things in perspective, MS only acquired 3 studio's that have made 'big' games and only 4 that ever developed anything for Sony gamers. Only 1 of the 7, Ninja Theory, has developed anything of 'critical' and commercial acclaim in recent times. The next Obsidian game, the Outer Worlds, will be on Sony platforms too. Mojang are still supporting Minecraft as well don't forget. Point is, MS is playing catch up with these studio's and only 1 could well be seen as a 'loss' to the majority of Sony only gamers. I am sure Obsidian and inXile may be a loss' to a few that actually bought their recent releases. Sony still have more Studio's with a catalogue of more recent critical and commercial acclaim than MS has. The studios like 343 and the Coalition haven't exactly continued the franchises they were created for success - Halo 5 and Gears 4 didn't exactly carry the torch like Bungie and Epic did for MS. Only Turn 10 has continued to succeed with numerous awards for their Forza games.